Robert Bosch predicts that half of all new cars sold in Europe will have some level of connectivity by 2020. The world's biggest supplier expects to have a substantial share of this business. 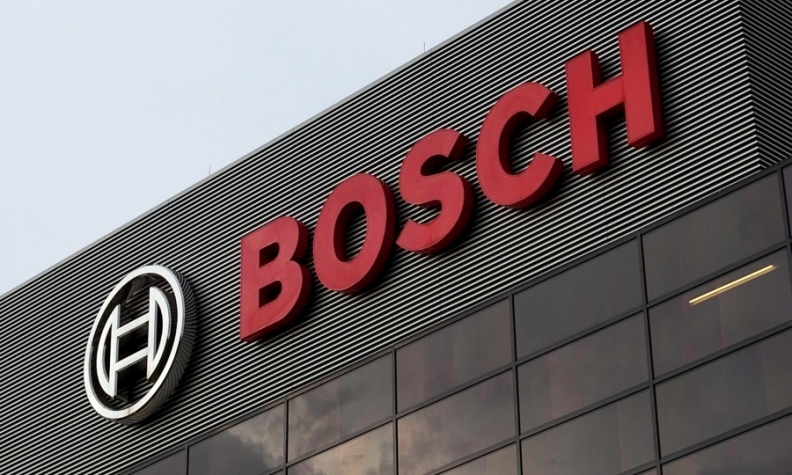 Bosch's board member for this business, Dirk Hoheisel, explained why in an interview with Automotive News Europe Correspondent Andrea Fiorello. What is the connected car sector's potential value to the auto industry? One study estimates the value at more than 115 billion euros by 2020. These are estimates and I don't know what is included in these numbers. Is it the software business, the service business and maybe hardware as well? Regardless, Bosch is prepared. Our aim is to reach a significant market share in the field of connectivity. How much of your revenue comes from connected cars and technology that helps vehicles drive themselves? In the field of advanced driver assistance systems (ADAS) – by this we mean our business for radar, video, and ultrasonic sensors, as well as driver assistance systems – our sales will exceed 1 billion euros this year. How is the move to connected cars changing the industry? We assume that the share of new vehicles in Europe equipped with either smartphone integration or communication boxes will rise to 50 percent by the end of the decade from 15 percent now. MAIN CHALLENGE: Developing hardware and software that offers advanced security in connected cars. Bosch provides communication boxes, the so-called connectivity control units (CCUs) that are integrated in cars. CCUs enable eCall, an emergency call function that is mandatory in the EU for all new type approvals for cars and light trucks up to 3.5 metric tons. In addition, we provide the sensors and the software to collect and evaluate data. We also derive valuable services and solutions from the information we get, for example, for our community-based parking. In March, we launched our own IoT (Internet of Things) cloud. We did this because we have special requirements for privacy. We had to test the technology ourselves and prepare it for us and our customers. How serious is the risk for connected cars to be hacked? No one can guarantee a data transmission over the internet to be 100 percent secure. However, we have a lot of technology ready to make it very difficult to enter a car's ecosystem. But this technology must be applied in the car's architecture as well as the backend architecture. What needs to be done to prevent car from being hacked? We must ensure that the high standard of security in the automotive electronics is maintained. Using dual architectures, we will create a strict separation between functions that are relevant for driving, such as driver assistance, and ones that are not, such as infotainment. In the future, a hardware security module will also safeguard the communication in each control unit. Escrypt, which is a specialist in security solutions for embedded systems that is part of Bosch subsidiary ETAS, is developing software for this. Escrypt is one of the leaders in checking systems for weaknesses. We have to ensure we are really up to date with the newest technologies. There must be more than just one level of encryption in the car communication. 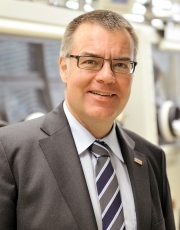 Dirk Hoheisel: "Our aim is to reach a significant market share in the field of connectivity." When will we see fully autonomous technology in cars? We believe that the technology will be used for parking first because parking takes place in defined environments at low speeds. Also, the acceptance of these solutions among drivers is high, because nobody likes parking. Automated valet parking is the name of the Bosch solution, which not only relieves drivers of having to search for a parking place, it also enables the vehicle to park itself. We believe this functionality will be ready in 2018. The next step for automated driving will be for driving on freeways. We could see highly automated cars driving themselves on the freeway starting in 2020. We expect to see fully automated driving under all circumstances, including urban situations, on the road well after 2025. Are Google and Apple viewed as friends or enemies? Google's autonomous cars sparked a big technology push in the industry and led to lots of attention for this topic. Google is a Bosch customer. We're supplying Google with major components for the electric powertrain system including the electric motor and power electronics, as well as long-range radar sensors and the electric steering systems. The algorithms for autonomous driving are developed by Google itself.